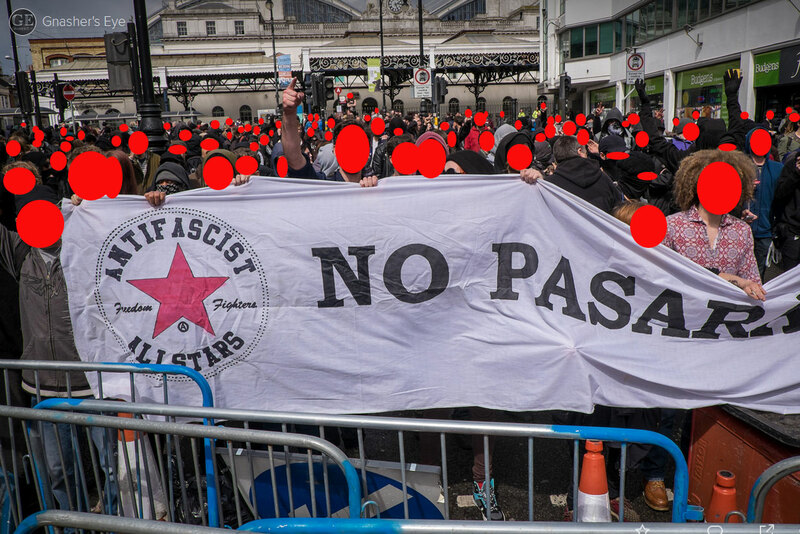 It rained on their parade, in more ways than one… A successful day for anti-fascists on Sunday saw the far-right March for England harassed, heckled and hounded out of Brighton during their annual humiliation by the sea. Since 2008 the nationalist March for England have been coming annually to Brighton to parade their narrow-minded vision of Englishness through the streets of the town in ‘celebration’ of St George’s day. For the last four years they have been opposed by an ever-growing coalition of local anti-fascists and anti-racists who have recognised their ‘innocent patriotism’ as a not very good disguise covering their real agenda of extreme right nationalist politics, racism and xenophobia.